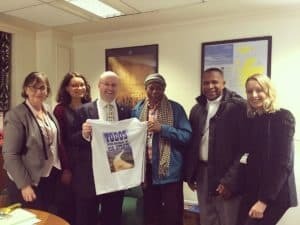 On 31 January 2018, ABColombia held an event in the UK Parliament hosted by Baroness Jean Cousins and the Parliamentary Human Rights Group (PHRG) to discuss the progress and obstacles to sustainable peace in Colombia, with particular emphasis on the current situation in Chocó on the north-western Pacific coast of Colombia. Two Colombian human rights defenders (HRDs) from the Chocó region, Bernadino Mosquera, an environmental human rights defender and Río Quito community leader, and Father Sterlin Londoño from the Dioceses of Quibdó, provided first-hand insight into the continued risks that HRDs and ethnic communities face along the River Atrato. Situated in Chocó, one of the world’s top ten biodiversity hotspots, and yet one of Colombia’s poorest regions, the Atrato River, which runs the length of Choco, constitutes the central life-source for numerous afro-descendant and indigenous communities along its banks. A year on from the signing of the Peace Accord between the FARC and the Colombian Government, little impact has been made on the lack of services and the humanitarian crisis that exists in Chocó, where 60 percent of the population have been registered as victims of the armed conflict. Rather, the continued presence of the ELN and neo-paramilitary groups, such as the Autodefensas Gaitanistas de Colombia (AGC), who protect the miners in control of the Atrato’s gold deposits, thus fueling illegal mining activities within the Atrato Basin and escalating the violence. Father Sterlin Londoño and Bernadino Mosquera both explained that the social and economic abandonment by the State in Chocó has caused a severe humanitarian crisis, which has led to departmental-wide social protests. The long-standing lack of provision by the state of basic services has left local communities with little-to-no basic sanitation, health services, education, fresh-water facilities, protection nor support. As a result, the Atrato River has become a dumping ground for both human and chemical waste which have caused a variety of serious health problems. Furthermore, illegal mining activities and combats between armed groups have increased forced displacements throughout Chocó. 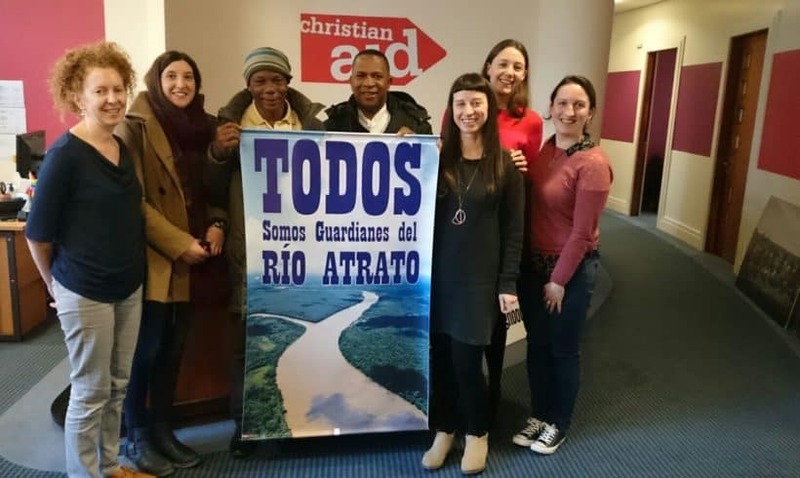 Protecting, defending, and preserving the Atrato River has thus fallen on local communities, social leaders, and environmental defenders who risk attack, threats and assassination for their work to uphold social justice. 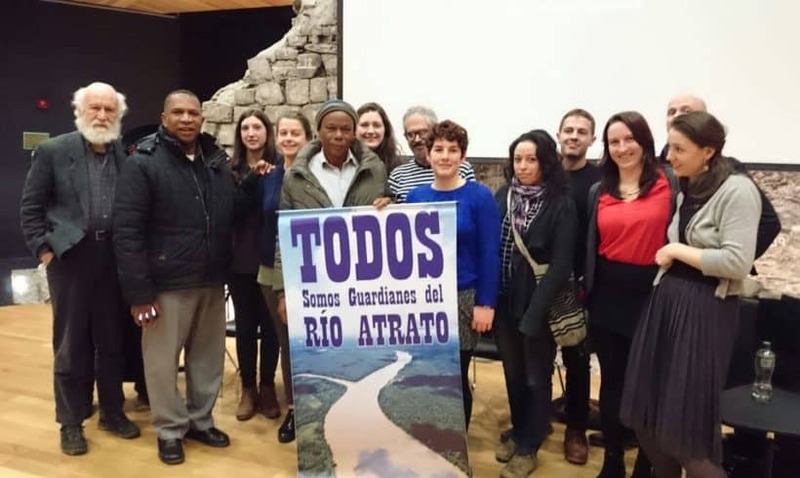 The Afro-descendant communities along the Atrato River, together with the Interethnic Solidarity Forum of Choco (FISCH) and Tierra Digna, achieved a landmark ruling in 2017, which recognised the Atrato as a holder of legal personhood and environmental rights that must be safeguarded alongside the communities’ bio-cultural rights. This placed direct responsibility on the State to ensure its protection, maintenance, conservation and restoration. The Constitutional Court ordered that two “Guardians of the Atrato” be appointed to monitor the implementation of the sentence (T-622) and to keep the communities along the 750 kilometers of the River Quito informed. However, the communities decided that the work involved would be too much for just one community leader, as a result they formed a group called the “Guardianes y Guardianas del Atrato” (Guardians of the Atrato). This group consists of fourteen delegates (seven men and seven women) from the ethnic communities along the river. This group is coordinated by the FISCH. Advocating for the accomplishment of the High Court ruling. In the Diocese of Quibdó, Father Sterlin Londoño works hand-in-hand with these affected communities, social leaders, and civil society organisations to advocate for the path towards peace to be maintained. However, the mechanisms for guaranteeing the implementation of the Constitutional Court’s judgement present a challenge. One of the main challenges will be to ensure that the consultation envisioned in this sentence with the communities is fully implemented. The communities need to be fully involved in the planning, design and implementation of the sentence. The Colombian government claims that it “includes” us, but it does not really include us, because the State decides when to include minorities in decision-making processes and when not. Another challenge is that of security for the communities and their leaders. There is a continued threat to personal security of HRDs. As Father Sterlin made evident, within recent months the situation for HRDs has reached a critical level. Whilst the ruling aims to protect the human rights of social leaders most remain targets of serious threats from groups operating within the Basin as efforts towards essential transformations are being made. Bernadino’s security risk has been assessed as high by the National Protection Unit and he is receiving threats for the work he has been doing promoting of the rights of the river, advocating for implementation of the sentence T-622 and defending the rights of the communities. Community leaders have been killed from the Chocó region in just the last month (January 2018). It is an extremely dangerous region to be a HRD. The protection measures awarded to Bernardino from the State are a mobile phone, a bullet proof vest and some transport costs. The phone has not worked for a year and despite the State being aware of this it still has not been replaced. A lack of political will to protect the defenders appears to be the only reason why, since he has been told there are no resources to replace this. 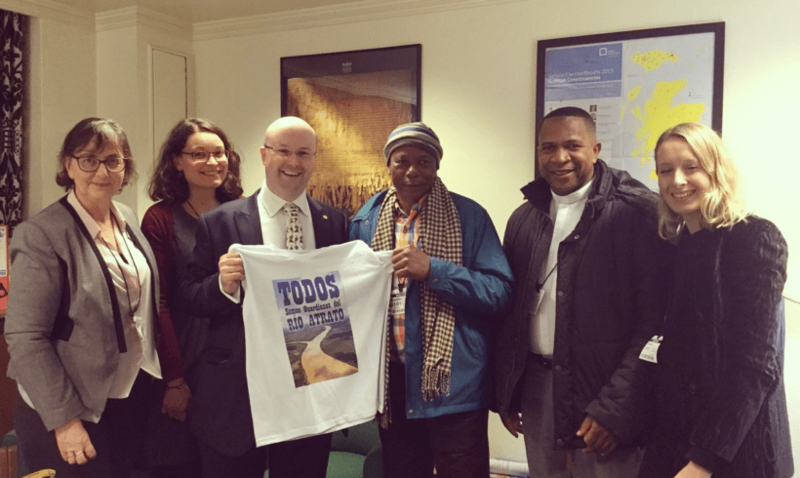 Patrick Grady MP showing support for the Guardians of the Atrato. 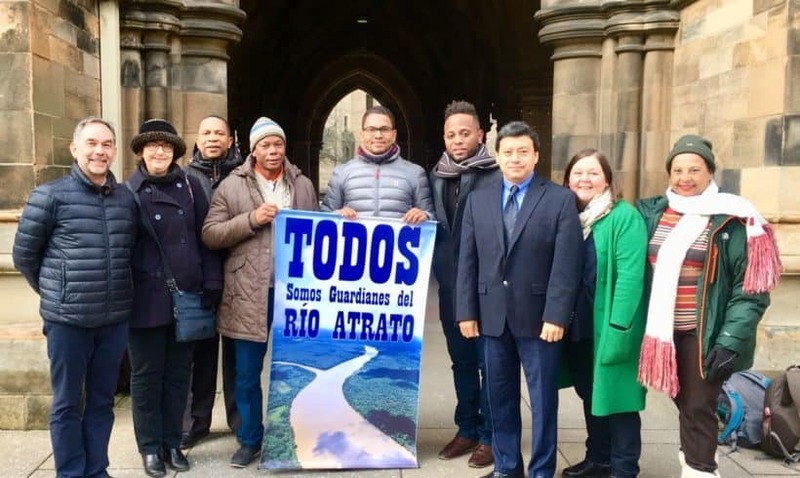 Cooperation of the international community is needed together with the strengthening of alliances across international organisations to create awareness about the Afro-descendant communities’ capacity to lead innovative processes like those related to the Atrato River sentence T-622. It will be essential for the State to fully implement this decision if it is going to build confidence in its relationship with the communities, as part of this confidence building, the State will need to ensuring resources for the Guardianes of the Atrato to monitor the implementation of the decision and to keep a constant communication and consultation process with the communities covered by this decision regarding its implementation. 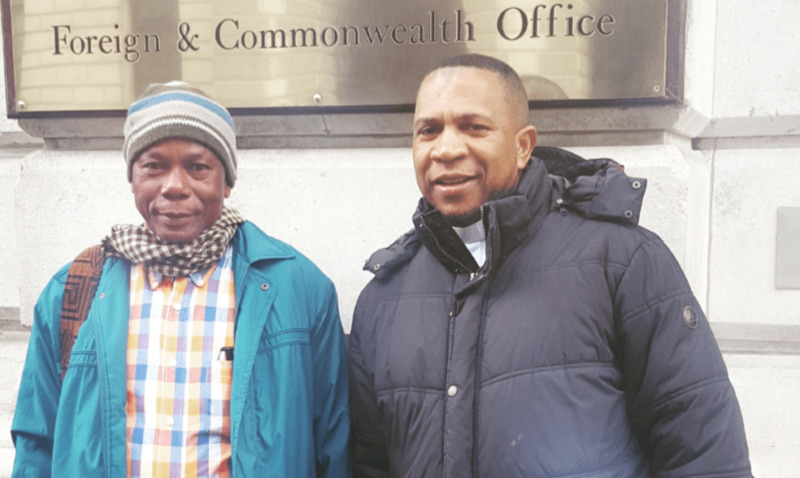 The international community, especially here in Great Britain, can make recommendations that human rights are not just for set classes, but for all social classes. […] We need the rights-bearing State to be present in our territories too. 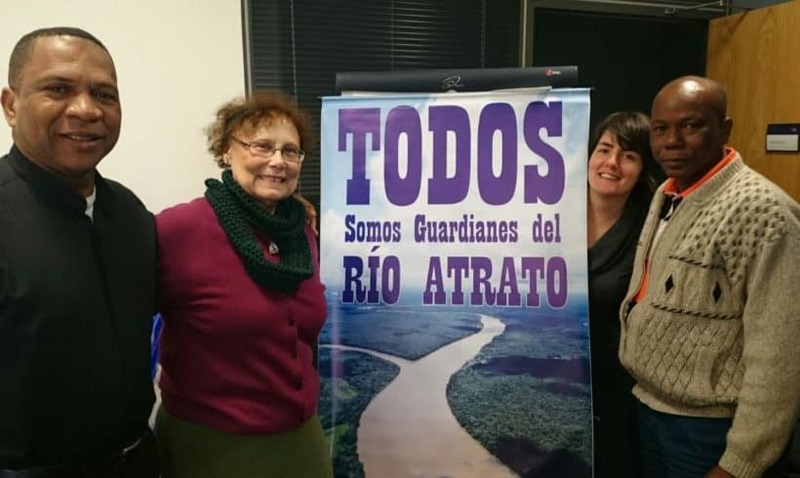 Ask your MP to write to the UK Government asking whether they will recommend that the EU Trust Fund supports the Guardians of the Atrato River – “Guardianes del Atrato”. Share this article on social media using #GuardianAtrato and raise awareness among your friends and family of the situation in Chocó.